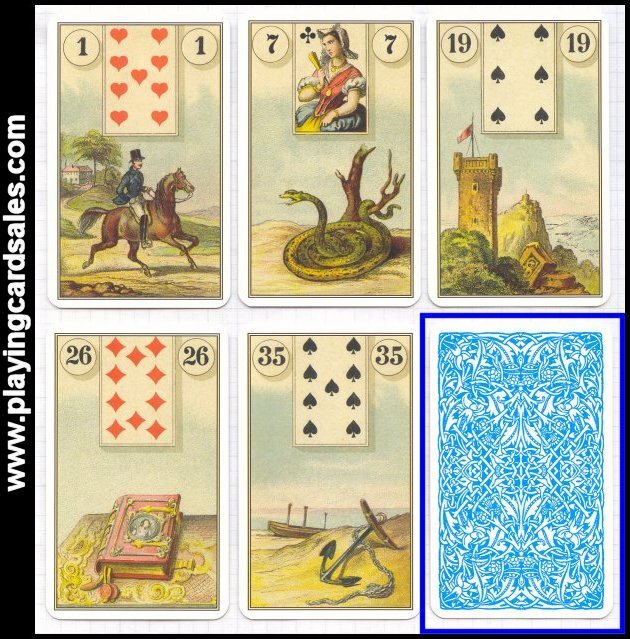 Reproduction of a traditional Lenormand type fortune-telling pack. 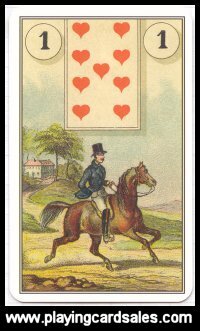 Miniature playing-card design in a panel at the top of each card. Soft, old-fashioned colouring. 36 cards + 32 page booklet in English, Italian, Spanish, French and German.